Final Order Date: After December 31, 2014 VeriFone will cease taking orders for new PAYware Transact licenses issued to new customers. Customers may elect to purchase new MID/TID or add on services to existing licenses through December 31, 2015. Final Shipment Date: After January 15, 2015 VeriFone will stop shipping orders for new PAYware Transact licenses. Existing customers may elect to purchase new MID/TID or add on services to existing licenses through December 31, 2015. End of Support Date: Effective October 28, 2016 and in concurrence with the expiration of PCI PA DSS validation, VeriFone will cease supporting software issues on current features of PAYware Transact. Support will be limited to phone troubleshooting and suggested changes to configurations or 3rd party components and at no time will extend to product code changes. We are interested in working closely with you, and assisting you in developing a migration plan to new products that will support the growth of your business. Therefore, you will have the opportunity to submit a final order for an upgrade through the Final Order Date. Additionally, irrespective of the date on which VeriFone receives the order, VeriFone will not accept any orders for PAYware Transact that specify a delivery date after the Final Shipment Date. VeriFone will honor valid extended support contracts for PAYware Transact to the full term. This includes any customer support commitments with respect to PAYware Transact that have previously been accepted by VeriFone in writing. Thank you for choosing VeriFone solutions. We look forward to speaking with you about your last-time-buy needs and discussing new additions to VeriFone’s growing portfolio of POS products. Should you have any questions, please contact your local sales office. Thank you for your continued partnership. PAYware Transact was sold as a solution for Point of Sale and omnichannel merchant needs. EMV chip card ecosystem, including certifications, has changed everything. Whatever you though you knew about credit card processing before, it’s all changed. Merchants will need to use a payment gateway, and will incur a per transaction fee. Option 1: use payment gateway from existing merchant services provider. Pros: it might be free. Cons: Most companies have few solutions for EMV chip card acceptance, so they sell you whatever they have instead of what you need. The average merchant changes processors every three years so business will be disrupted again later. The gateway directly impacts interchange rate qualification and the provider may have limited tools to help automate qualification. Option 2: use independent payment gateway and keep existing merchant services provider. Pros: Get exactly what you need for all sales channels, reducing PCI Compliance burden, increasing efficiency, security and profits. Cons: It might or might not cost more, though expenses are likely to be offset by other benefits, including better interchange rate qualification, which will more than offset the differential. Examples: CenPOS. 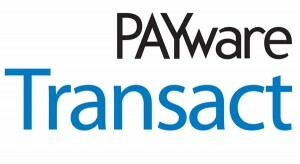 Contact 3Dmerchant.com for assistance to replace PAYware Transact with an independent payment gateway. This entry was posted in industry news, merchant account Q&A, Payment Gateway and tagged payware, PAYware Transact, verifone by Christine Speedy. Bookmark the permalink.